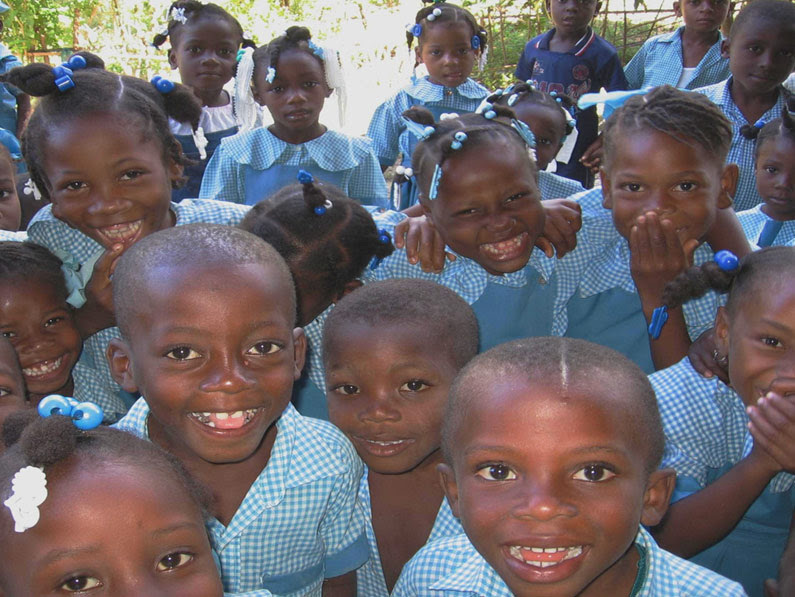 It’s September again…the sounds of children’s voices and laughter once again fills the hallways at the St Jean Baptiste Parish Schools in Sassier. More than 600 students from preschool to 13th grade are very happy to be back in school. 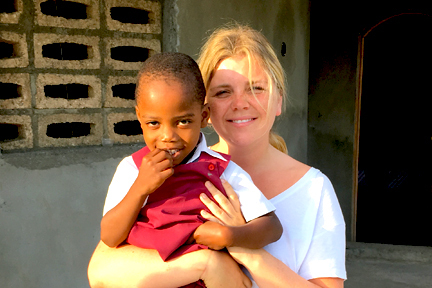 Almost two years ago–October 2016—Hurricane Matthew roared through the Sassier area, destroying homes, washing away crops and ruining lives Afterwards, the Schools enabled students to recover and heal—a safe and nurturing environment with friends, hot meals and a structured environment dedicated to learning and forming Haiti’s future leaders. We need your help to pay and train teachers; purchase books and supplies; and cook and serve hot meals. Without you, there will be no school. 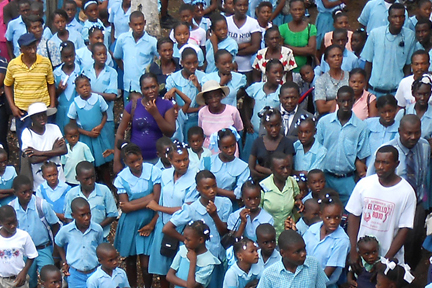 Each sponsorship of $150 will provide most of a year’s education for one St Jean Baptiste primary school student. Parents pay tuition of about $10 per year, and many struggle to pay that. However, we turn away no student. Due to a drought from May through August, the Spring crops were all destroyed—parents depended on those crops to pay this year’s school tuition. So, we need your help more than ever. Every year, our costs increase, but parents’ ability to pay does not. Please consider adopting two or three of Sassier’s wonderful primary school children this academic year. Please give them the Gift of Education. Our students are praying for you; please pray for them. Mesi Anpil! Thank you very much. Adopt a Sassier Student Now!